The move appears to be in relation to the fact that the ‘wrong teacher’ caught flak at Laerskool Schweizer-Reneke. A group of residents were on Wednesday trying to push their way into Laerskool Schweizer-Reneke in North West. The group was standing outside the school’s main gates hurling insults at the security officers manning the gates. “We want to get in, this is our school. There are many security officers in Schweizer-Reneke. Why do they hire people from Limpopo?” one woman shouted. Some parents arrived at the school saying they received a notification to fetch their children. The children were reportedly kept at a safe house with their teachers. North West education member of the executive council (MEC) Sello Lehari was holding a meeting with the school’s management. Sources close to the education department said suspended teacher Elana Barkhuizen would be reinstated and the principal and another teacher would be suspended. Yesterday suspended teacher Elana Barkhuizen said she would fight to clear her name. Lehari suspended Barkhuizen with immediate effect on January 10 after a picture showing four black children seated separately from their white classmates in a Grade R class went viral. Barkhuizen reportedly took the picture in another teacher’s classroom and sent it to a parents’ WhatsApp group intending to show how children had settled in class on their first day at school. Lehari said the school had explained that the children were separated because they could not speak English or Afrikaans. However, Barkhuizen was not the teacher who had allegedly separated the pupils. Barkhuizen said she would stand up for herself, learners and for all teachers. Trade union Solidarity said it would serve court papers before the end of the week asking that her unlawful suspension be lifted as a matter of urgency. The union also said it was considering civil action following the investigations, which may include a libel claim. 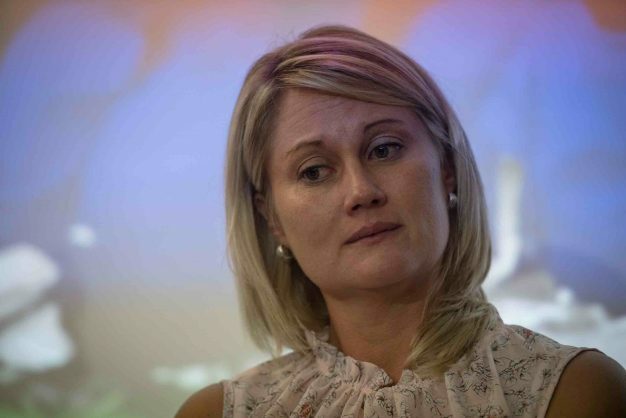 The union said Barkhuizen was appointed by the school governing body, a fact that had been overlooked, and that Lehari acted outside his powers and that no correct procedures were followed to suspend her.